The VideoLAN Player, a.k.a. VLC, rarely struts a flashy update. Its default look never changes, and the improvements are invariably under the hood. But it's free and powerful...and with its integrated codecs covering just about every type of media under the sun, it's the big dog in the multimedia playback kennel. 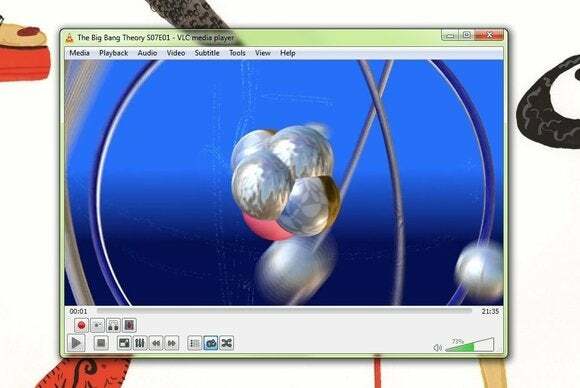 VLC's default interface remains the same, but VideoLAN has enhanced the player's performance and stability with a rewritten audio core and bug fixes throughout. Version 2.1 "Rincewind" is out for Mac and Windows both, but I tested the Windows version only. VLC 2.1 is somewhat better with video than previous iterations, especially WMV and FLV files. I still saw the occasional undrawn frames (which could exist for up to 5 seconds in previous versions) when seeking, but they weren't as common as they had been, and they disappeared more quickly. Loading times seemed faster as well. 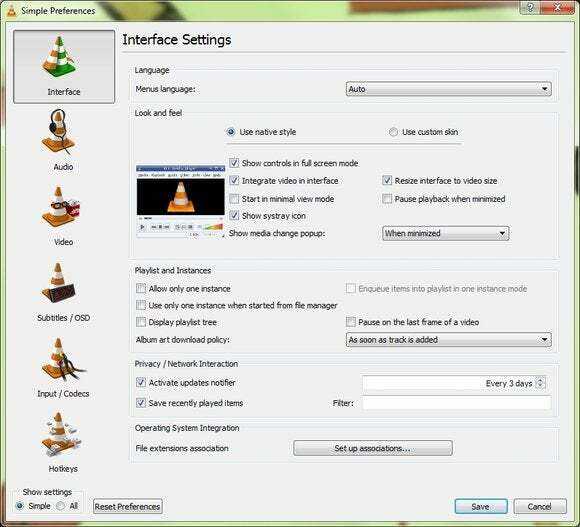 VLC is also great for playing audio and supports everything, including surround up to 7.1 channels. Well, almost everything. It didn't play my ancient VQF file, but I've yet to find the player that can. VideoLan rewrote VLC 2.1's audio core, and I'd love to say I could hear a difference...but I couldn't. It was darn good already. VLC's FX and filters haven't changed much in 2.10 "Rincewind." VLC is my default player for audio when I'm on a system with DTS or Dolby augmentation. But it has no psychoacoustic FX such as Trubass or iTunes Sound Enhancer, so when the sound requires it, I switch to Window Media Player. I'm addicted to that sort of stuff when I'm listening for pleasure as opposed to checking a mix. The compression, equalizer, and Spatializer available in VLC cut too much volume at default settings and are too complicated for most users. A lot of what's changed in VLC is support for hardware decoding on Mac and Android systems, as well as being ported to later versions of the latter. But there's also down-mixing from 6.1 to 5.1 or stereo in the FLAC codec, as well as better AVI and MKV recording. There's a new subtitles menu on the main page for quicker access and the volume display now only goes to 125% (formerly 200%, which is still the actual maximum volume), but those are the only cosmetic changes I could spot. There's also vague but intriguing mention of "preparation for Ultra-HD video," which won't affect most of us—have you turned up any 4K video lately?—but could be important in the future. Those are only a few highlights. VideoLAN keeps a detailed list at the VLC release highlights page. VLC still has a myriad of options, even with the preferences dialog in "simple" mode. VLC remains a media player you want on your system, if for nothing else than the occasional file that your favorite player won't handle. More likely, it will become your go-to. If you're upgrading, go for it. This version seems stable (not all have been) and much improved in many areas. Note: The Download button takes you to the vendor's site, where you can download the latest version of the software appropriate to your system. This is donationware: You can support further development by making a donation to the developer.